its place as the home of the entertainment industry, including several of its historic studios. This should be no surprise to anyone who has seen it. The film that put David Lynch on the map. It involves a deformed baby, some guy pulling levers and a woman with large cheeks that lives inside of our protagonists radiator and dances and sing. Any of that make sense? No? Good, then you you just got a glimpse of what the movie is about. 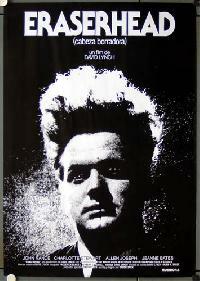 It doesnt have a typical linear structure, although you can maybe piece a story together about how our hero Henry (played brilliantly by the late Jack Nance) is afraid of parenthood, yet is strangely obsessed with it. Its surrealist cinema at its finest, yet most bizarre. A pinnacle of avant garde filmmaking, which took 5 years, as well independent filmmaking because Lynch never gave up during that time to get it done.